In today’s world of convenience, you can get almost anything delivered straight to your door, and sometimes within hours! Gone are the days of packing up the kids and heading to the grocery or drug store and struggling to make it out of there with everything you needed because someone was hungry, blew out their diaper, or just plain had a meltdown. For a Sleepless Mom like myself, these delivery services make my life SO much easier and for that, they are priceless. My number one go-to delivery service is Instacart. For those of you who haven’t heard of this service yet, you’re about to! And, you’re welcome in advance. 🙂 It’s an easy and fast delivery service that you can use by simply downloading the app on your smart phone. You can enter your zip code to see which of your local grocery stores and even pet supply stores deliver. Then it’s shopping time! Browse items by category or just enter in what you’re looking for and bam! Everything you need to tidy the house, change a stinky diaper, and if you’re lucky enough, take a shower and get ready for once (this is a luxury in mom life)! Instacart even marks the items you’ve purchased before, so it makes it that much easier to breeze through your shopping list, especially when you have a high energy toddler and a baby on your hip. 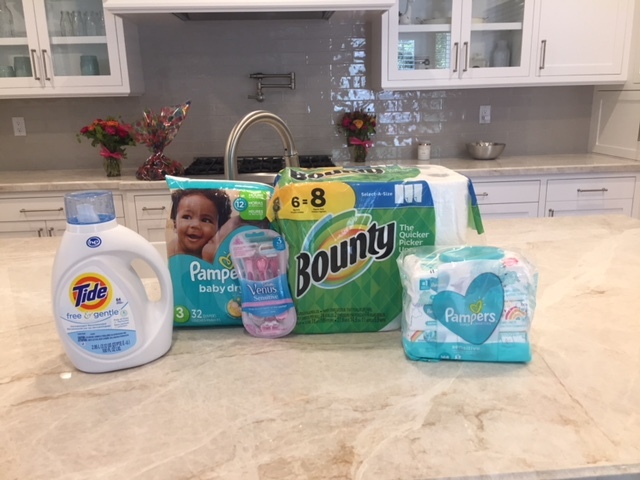 My most frequently bought items and staples in almost every cart are definitely P&G products! You name it, Pampers, Tide, Febreze, Gillette, Bounty…I could keep going! They have everything I need to keep my household clean and my family healthy. Overall, Instacart allows you to shop for the brand name products that you trust from the comfort of your own home, and get them to your family fast and fresh! If you haven’t tried this service yet, now’s the time! 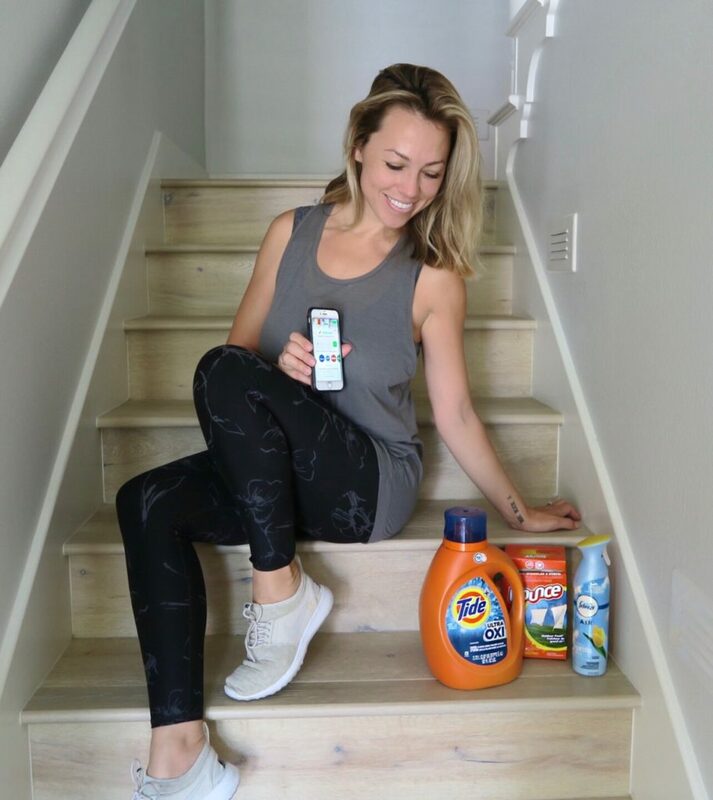 Right now, Instacart members will receive FREE delivery on their order, when they purchase $35 worth of P&G products. Pampers diapers and wipes delivered to our doorstep, yes please! Follow this link to get free shipping today!